Climate change is real. It is happening. We all feel it, we see it, and new evidence is published daily. Yet, still governments across the globe seem to rank the topic low on their list of priorities. While it is true that humans are not the sole cause of climate change, we are definitely not helping by any means. To raise awareness, and get people thinking about solutions, a number of artists from all over the world are taking matters in their own hands. This sculpture below is one of many of related works created by Isaac Cordal and one of my favorites. It shows that all of the bickering by politicians and the constant denial of climate change, in the end, is no match for mother nature. This sculpture makes me wonder how long will it take for the masses to open their eyes? These are just a few of the artists using their craft to inform people of the impact and consequences of global warming. You can view more amazing pieces here. For The Lake Project, David Maisel photographed Owens Lake, once a 200-square-mile lake in California, which was depleted in the early 20th century to give water to Los Angeles. What little water remains has such a high concentration of minerals, and such bacterial growth, that it is now a deep blood red. One arts and science blogger Johanna Kieniewicz questions whether artists can make a difference. Whether artists solve scientist problems or not, they’re definitely making the conscious effort to begin to aid the earth, which many have not. These are some creative individuals. I would have never thought some of these pieces were possible. Do you think art will raise awareness? Or is it back to the drawing boards? When an entire country goes green you don’t expect for pollution to rise, electricity bills to skyrocket and carbon emissions to increase. But in Germany, that is exactly the case. In an attempt to forgo nuclear power and run Europe’s largest economy on wind and solar power, chancellor Angela Merkel’s “Energiewende,” is hoping to turn Germany into an energy-efficient powerhouse by shifting from nuclear and fossil fuels to renewables. In 2002 a law passed announcing all of Germany’s nuclear power plants must close by 2022. Revised by Merkel in 2010, she extended the nuclear power plants phase out by 2032. Then after the Fukushima disaster Merkel decided to scratch that idea, closing eight nuclear power plants immediately and ruling that all would close by 2022. But closing all these plants left a gap in energy sources, so in order to keep the lights on, Germany is turning to coal-powered plants. Specifically, they’re burning lignite, a filthy fossil fuel, and large amounts of it. In fact, just last year coal-burning escalated to its highest level for more than 20 years. More coal-burning means more gas emissions. Last year Germany emitted 951 million tons of greenhouse gases, up 1.2% than 2012. Confused? Me too. I get that coal is cheap, and thousands of jobs come from mining, but for a country priding itself in taking the green initiative, aren’t there cleaner, natural gas solutions? And apparently, I’m not the only one lost at what exactly German is doing. American economist Mark Perry tweets, “Germany shows how NOT to push green energy. It fails the poor, while protecting neither energy security nor climate. It fails the poor? Shouldn’t going green mean less money spent by the everyday citizen? While that makes logical sense in my mind, electricity bills in Germany are higher than any other EU country, and only rising. Even the government in Berlin admitted recently that already 6.9 million households live in energy poverty. This means that nearly 7 million households are spending more than 10 per cent of their income on energy. While Germany’s attempt at doing away with fossil fuels, and nuclear energy is noteworthy, the price of current green technology is just too high to meet the country’s demand for dependable electricity. On the bright side, there are now 1.4 million solar photovoltaic installations in Germany and over 24,000 wind turbines, increasing the share of renewable electricity from 5.4% (then chiefly hydropower) to nearly 25%. David Scrimgeour writes the Energiewende has also created over 500,000 new jobs. But overall it just blows my mind reading that wind and solar power sources are not consistent and ironically need conventional backup power sources. Even more mind-blowing is the fact the more electricity created by wind turbines and solar panels the more expensive it becomes. No country has pushed for going green more than Germany, and this country’s green dream, may just in fact be a nightmare. After listening to the 14-track project, I find it has a unique sound of jazzy-soul. The take your homework to the park-layout that comfy blanket-and chill type of sound. Every track is perfectly placed, and you can press play and not have to worry about skipping a song. Oh, and did I mention the band? Yes, Midé plays with a live band. And I don’t know about you, but my ears enjoy a good live performance. No matter how advanced technology becomes, there is nothing like the real thing. It touches the soul. Intense right? I thought so too. Paired with his sound, incorporation of live instruments and a description like that, I had to learn a little more about the rising artist. Latisha Hickem: Midé, tell me about yourself; where are you from, and how old are you? 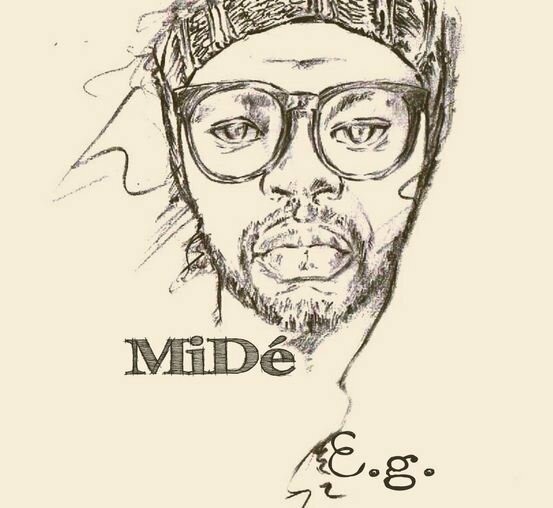 Mide: I am a Nigerian-born Brit in my 20s. I actually went with Alternative Soul because I thought the having Alternative before the “Soul” kept the door open for some of the other influences I was putting into the music. I feel like people have a solid idea sometimes of what they expect soul music to sound like. But with me I find sometimes I lean in other directions while still maintaining a soulful element. Like I might have Folk Soul, Neo Soul, Soft Rock Soul (If such a things exists), etc. So it’s really a kind of disclaimer. This is a funny story. When I say I started out rapping, I meant more just reciting other rappers verses in college [and] high school… nothing too serious. But out of that came a love of words and poetry, which later evolved to become songs written to music. So maybe I wasn’t worthy of being called a rapper but it was one of the roads I travelled to get here. Where are you right now with your music career? I’m at a point I’ve never been before. I have just released my first full-length project and I’m going on a national tour to play live in front of audiences across the UK. I love the adventure of it and I’m also humbled to be able to do that for a living. How do American soul singers differ from those in London? I find that in London, most times, it seems that Soul music comes from the outside in. We hear about a lot of American soul artists and we even support them when they come to town. America, being the birthplace of that sound, is no doubt a kind of Mecca and we look to American Soul artists as a kind of pioneer. Of course no one can really have a monopoly on a style or genre, so there seems to be an emerging Soul collective in London. The new album came about as a collection of songs I’d been working on for some years. I released a couple of EP’s to broach the subject of me as a solo artist and then I decided I wanted to be known as an album artist or a concept artist. The inspiration for the songs varies quite a bit. Sometimes from something as mundane as people who gossip (Hilda), to a watered down expression of my feelings when I lost my dad (Holding On). I wanted the album name to be something that showed the different styles and concepts I was capable of and thats where the name came from: “E.G” – For Example. Where can we find you on the web, and hear more of you? For every 100,000 people in Manchester, England, 114 of them are taking a selfie. Of the 459 cities ranked, Makati City, Philippines came out on top, producing more selfies per capita than any other city in the world with 258 selfie-takers per 100,000 people. Second place went to Manhattan, N.Y., with 202 selfie-takers per 100,000 people, and third place is Miami, Fla. with 155 selfie-takers per 100,000 people. 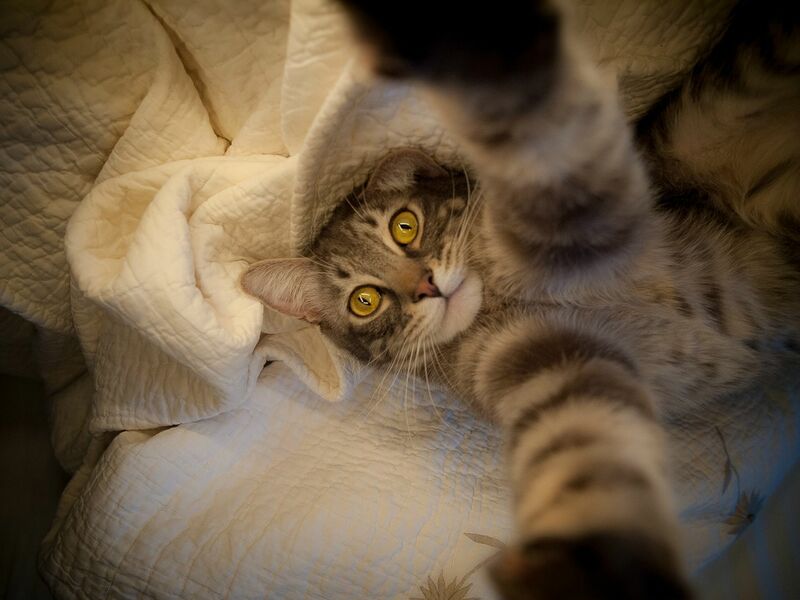 TIME was sure to mention that not all photos tagged with the term “selfie” were actual selfies, and that informal tests showed that vast majority of the photos were of a single person. 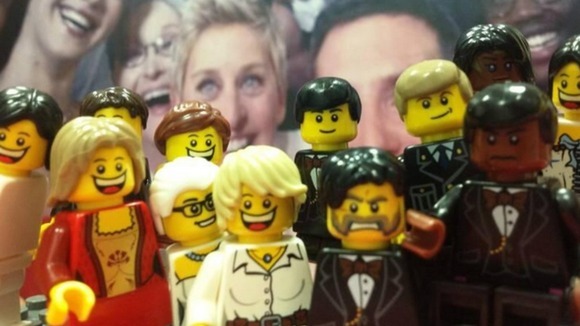 Legoland Manchester make their own version of the world-famous Oscar selfie. While some may shocked at where their city ranks, Manchester native Molly Smith is not. In other words, she believes our generation is too self-absorbed, and controlled by the ego, ignoring the fact that there are real issues going on. English Actress Chelsea Healey, who’s selfie has been circulating as part of media coverage of TIME’s survey results, is not too impressed with the headlining news. 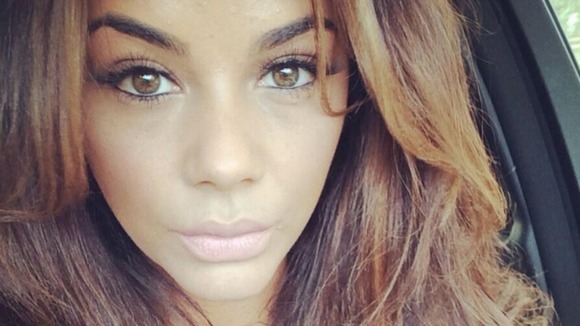 She tweets, If it was not clear before, it’s obvious now: We are in the Age of the Selfie. To find out where your city ranks, header over to TIME and play around with the interactive map. When I was a child, going to the grocery store with my mother each week was an adventure… now it is a nightmare. The same excitement that filled my eyes as I raced through the aisles, sneaking snacks into the cart is now replaced with disappointment. Why the change? Well on top of now being restricted to a few aisles of high-priced organic products, now I have to worry if the food I am buying is actually what the label says it is. Yes, believe it or not, food fraud, is at all time high. “Most people would be surprised at the everyday foods and drink which are being counterfeited, and the volume of seizures shows that this is a serious global problem,” said Michael Ellis, head of Interpol’s Trafficking in Illicit Goods and Counterfeiting unit. Last year, media outlets reported on February 25, seven in 10 lamb kabobs sold in British takeout restaurants were bulked up with cheaper meats and on March 14 that pork DNA had been found in a school’s chicken sausages. Another reported that 90 percent of South African kudu (antelope) jerky was actually horse, pork, beef, giraffe, kangaroo—or even endangered mountain zebra (Food Quality & Safety). Key aims of Operation Opson are the identification of the organized criminal networks behind the trafficking; development of practical cooperation between the involved law enforcement, food and drug agencies and private companies; and to raise awareness of the dangers posed by counterfeit and substandard foods. As a conscious consumer, this is quite disheartening. Never would I have imagined that the beef I purchase could actually be horsemeat, or that road salt is being sold as food salt, or those organic eggs I bought last week could actually be battery-caged eggs (EPRS, 2014). Right now, there is no EU definition of food fraud, but it is best explained as food that is placed on the market to intentionally decieve the consumer. Wales blogger Sian advises readers to turn to their own pantry, and make their favorites dishes from scratch. But while that may be a healthier alternative, what do you do when even the basic ingredients are counterfeit? To tackle the age-old problem, a new five-year project, led by the UK’s Food and Environment Research Agency (FERA), will attempt to close gaps in counterfeit food research. The Food Integrity project is supported by 12 million euros of EU funding, and brings together 38 international partners. For more information, visit www.fera.co.uk/events/foodIntegrity2014. The Western media coverage of the 2014 Sochi Olympics has been about everything but the Olympics. From unprepared hotels, to killing stray dogs, to the countrys’ stance on gay rights, Western media has consistently viewed the Winter Games in a negative light, and pointed the finger at Russian President Vladimir Putin. In fact, only nine out of 38 countries have positive views of Russia as the Olympic host (Pew Research Center, 2014). Not to mention that when The Washington Post, and ABC asked Americans if they had a favorable or unfavorable impression of Putin, 58 percent answered unfavorable. It is true that Russia banned promotion of “non-traditional” sexuality last year, which makes it illegal to provide information on homosexuality to the youth. Why ignore the statement from the mayor of Sochi, who also welcomed homosexuals, simply stressing that they “respect Russian law” and “don’t impose their habits on others” (BBC News, 2014)? While Western media is consistently pointing the finger at Putin, journalists fail to realize that the upper and lower houses of Russia’s parliament, passed the ban with votes of 137 to 0 and 436 to 0 respectively. Maybe the American journalists missed those key points as they were live tweeting about side-by-side toilets. It can not be ignored that thousands of media personnel and athletes were welcomed to Sochi with limited hotel space, and mediocre conditions. But the photo of dirty water that Chicago Tribune reporter Stacy St. Clair tweeted from her hotel room in Sochi is just “cultural misunderstandings borne out of sheltered ignorance,” as Sarah Kaufman wrote. But these facts go unreported in Western coverage of the games. What happened to American journalists upholding the ethics of journalism, and reporting information objectively? I’ve never met a journalism professor who instructed his students to take their country’s social norms, and force them to fit other countries. There is a line between criticism and journalism, and many American journalists in Sochi are publicizing which side they walk. 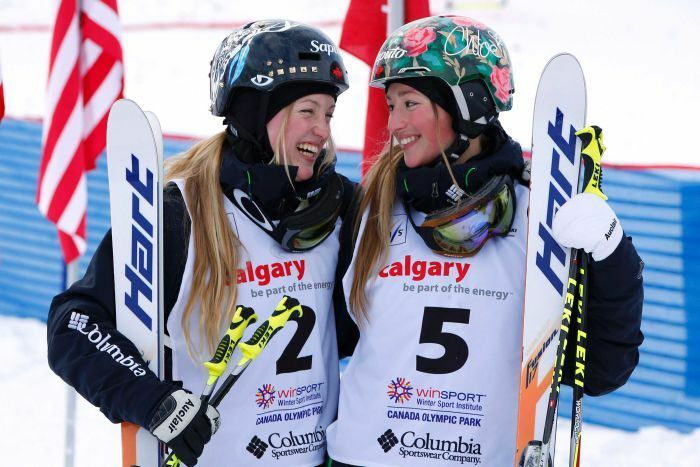 Instead of harassing gay Russians to see how Putin’s ban affects their club life, I would have liked to read about the twelve new sports added to the Winter Games, or German ski jumper Gianina Ernst who is the youngest athlete competing in Sochi, at 15. Americans’ dislike towards Russia and her President is not what the Winter Games are about. It’s about athletes from 88 nations —more than any other in the history of the Winter Games— competing for their country with dignity. It’s about Olympic spirit: the essence that is not just seen on the podium, as medals are handed out, but the spirit that exudes from each athlete present.